On June 3rd, 1924 the Law of Radio Communications was passed and all this begun. Soon the first Amateur Radio licenses with callsigns TPAR, TPBB and TPBF were issued in Lvov (at the time Lvov was within the boundaries of Poland). The year 1925 was marked with Poland's participation in International Amateur Radio Congress held in Paris and with the founding of the International Amateur Radio Union. Ham Radio activities increased and long distance contacts were soon made. TPAX concluded the first contact with Dutch station NOPM in 1925 and US station U1AAO in 1926. Also the first Ham Radio Clubs were being established in Lvov and Warsaw then in Poznan and Vilnius (nowadays the capital city of Lithuania). As of January 1st, 1929 "Krotkofalowiec Polski", a monthly journal devoted exclusively to Amateur Radio was being published, and it still serves as the official journal of the Polish Amateur Radio Union. Effective 1929 amateur radio licenses issued in Poland were given SP prefixes. On February 22-24, 1930 Polski Zwiazek Krotkofalowcow or PZK (Polish Amateur Radio Union) was founded and Professor Janusz Groszkowski was elected as its first President. He was an extraordinary person. In many merits he resembled the personality of Hiram P. Maxim (the first President of US Amateur Radio Relay League). They were both inventors in the field of radio communications and they still remain in the "Hall of Fame" of Amateur Radio and not only. In December 1933 - another "first" - an International Amateur Radio Contest organized by PZK took place. The SP-DX Contest remains its natural successor today. World War II froze Amateur Radio activities almost everywhere. Poland, of course, was no exception as the war began in our country. Amateur Radio operators have their own records on all battlefields of this war as their skills were much needed. In Poland, they were establishing radio communications from clandestine transmitters within German-occupied Poland serving in the Resistance Movement. Others participated in the struggle for freedom within the Allied Forces all over the world. Many paid the highest price for their distinguished services. War has ended but amateur radio activities were ordered out of existence in Poland. It took years for PZK to be reborn on January 11, 1957 and to have amateur radio licenses being issued. PZK activities were financed by the government from then on and membership was mandatory for those who wanted to enjoy amateur radio privileges. 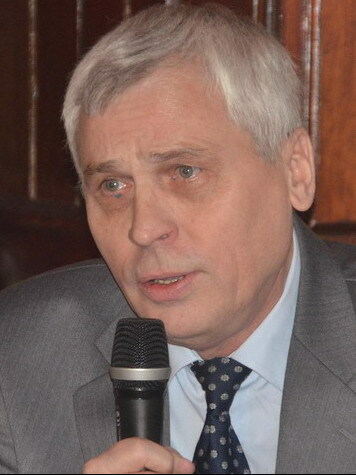 Anatol Jeglinski, SP5CM was elected President. Since 1990 PZK is financed by members and donors and its membership is no longer compulsory. 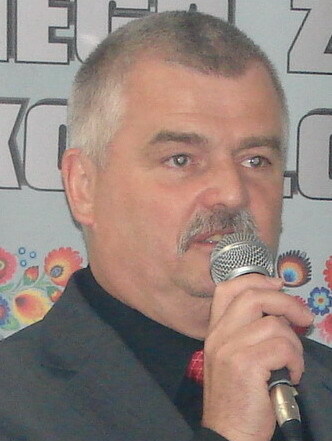 The organization has been and is today the only spokesman for Amateur Radio in Poland. It is strictly of, by and for amateurs, is non-profit and has no stockholders. It is an association of radio amateurs organized for the promotion of interest in Amateur Radio communication and experimentation, for the establishment of networks to provide communication during emergencies, for the advancement of the art of radio and of public welfare, for the representation of the radio amateur in legislative matters, and for the maintenance of fraternalism and a high standard of conduct. One of the PZK's main objectives is to keep amateur activities well conducted so that the amateurs will continue to justify their existence. PZK National Convention is the association's supreme body, while "daily" affairs are run by Headquarters and Presiding Committee (the Union's executive power) consisting of members (five) elected every four years by the general membership delegates who vote during the National Convention and field division directors (33). Executive officers are elected or appointed by the Committee itself. Poland is a CEPT country! If you have a CEPT license (covered by T/R 61-01) or a CEPT Novice license (covered by ECC-Rec. (05)06), you may right away enjoy amateur radio license privileges during a stay in Poland (under three month). Just make sure that you carry your license with you. What if you have no valid CEPT license? Foreign Radio Amateurs without a CEPT license or a CEPT Novice license can apply for a guest license with the Polish telecommunications authority, which is Office of Electronic Communications (UKE) in Warszawa. The license will be issued for 3 months at the expense of 82,00 PLN (approx. 21 €). If you want to operate in SP for more than 3 months this also should not be a problem. You can apply for a temporary Polish amateur radio license. You can also submit a statement, in which you mention preferred call sign that you wish to obtain (if available!). You may list a few alternative call signs of your wish. Below please find detailed step by step instructions for license application. Application for temporary Polish amateur radio license for the foreign citizens. Fill attached application form and submit it to the Office of Electronic Communications (UKE) along with requested attachments. 1. Copy of your passport. 2. Residence permit (EU-citizens submit a copy of registration form). 3. Copy of HAREC certificate or national amateur license or amateur radio examination certificate (English transcript). 4. Written permission of the landlord of a house/flat where the amateur station is to be installed. Upon receiving UKE information about the license granted, you are expected to pay PLN82,- into mentioned below bank account and to mail a copy of the receipt with remark _ “radio license fee” to the recipient. Then the license will be mailed to you.